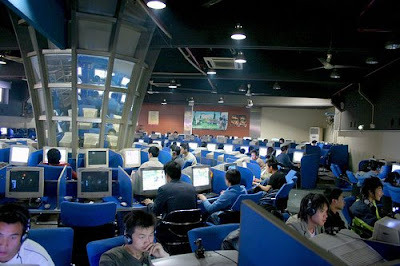 According to the China Internet Network Information Center (CNNIC), China's internet population became the world's largest in 2008 growing by 41.9% to 298 million users with 270 million broadband users, up from 163 million in 2007. Mobile internet users grew 133% to 117.6 million and expected to grow even more this year with the introduction of 3G mobile services. China overtook the US in the middle of 2008 to take the crown as the biggest internet market by user numbers. Its internet penetration rate of 22.6% compares with 73.3% for Japan, the world leader, and 72.5% and 70.7% respectively for the US and Korea. 33% of China's online users are students, 15% office workers, and 10.3% government employees.